Often the word “marvel” is used to describe huge skyscrapers…modern marvels built with the latest in technological advancements, built to withstand nature’s strongest elements and built to stand the test of time. This being the case, then what word aptly describes the truest technological marvels that have more than survived nature’s strongest elements and survived for centuries? What word can we possibly use to describe places like Pitigliano, a stunning medieval town dramatically perched atop a tufa ridge? While Len and I love traveling by train and bus in Italy, one of the benefits of occasionally renting a car is the opportunity to explore the more remote areas. 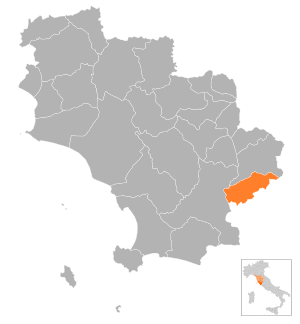 Situated between Roma and Firenze, and east of Grosseto, the Hills of Maremma in Tuscany is one of those areas. The Hills are filled with non-traditional Tuscan landscapes and amazing surprises around each bend. There are several towns in the area, but the most stunning to me is Pitigliano, a medieval town built on tufa or volcanic rock. When you hear medieval, think 500-1500 time frame. Houses and buildings in town are built on sheer cliffs that appear suspended over the valley, and sit above a network of caves and tunnels said to have been inhabited in prehistoric times. Fortunately, there are places to pull over as this is a photo-op must. In the 16th century, Pitigliano became a haven for Jews escaping enclosed ghettos in neighboring cities. Today, visitors can still see parts of the ancient Jewish Quarter; a 16th century aqueduct; a few beautiful churches; a 14th century fortress which houses a museum and medieval torture chamber; and sometimes even tour the underground tunnels and caves. this ancient structure still stands and functions – deeming it not just a marvel, but truly marvelous! You are welcome and food is coming in the next post…stay hungry, my friend! Absolutely beautiful, somewhere I need to visit. Was it crammed with tourists at this time of year or manageable? No, not crowded as it is a bit off the tourist path, but well worth taking the time. Wow – that is amazing! I can’t believe I’ve never visited (or heard of) Pitigliano. Adding it to the bucket list. Awesome photos as usual! !